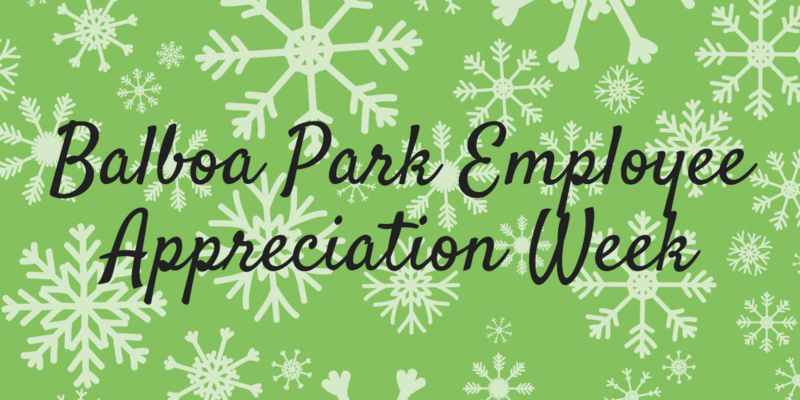 In celebration of Balboa Park Employee Appreciation Week, employees and volunteers can enjoy generous discounts from many of the institutions from December 10 – 16, 2018. This is the perfect opportunity for last minute holiday shopping or to treat yourself! 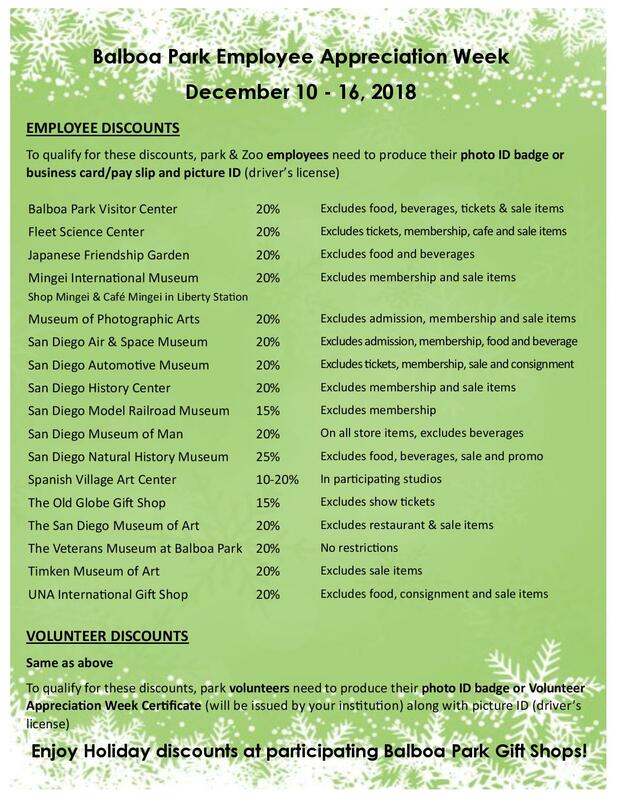 To qualify for these discounts, Park and Zoo employees must show their photo ID badge or business card and a photo ID (ex., a driver’s license). Park volunteers may show their photo ID badge or Volunteer Appreciation Week Certificate provided by their institution to qualify. 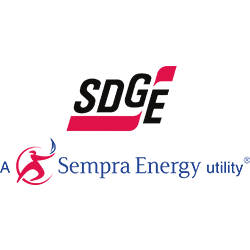 See the full list of discounts below. 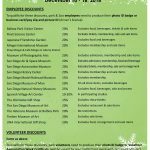 Employee Appreciation Week discount sheet is created by the Balboa Park Visitor’s Center annually.